The template comes with 2 Versions. • Version 1 Pop-up Book presented on an animated deck with hands. • Version 2 Pop-up Book presented in 3D space. 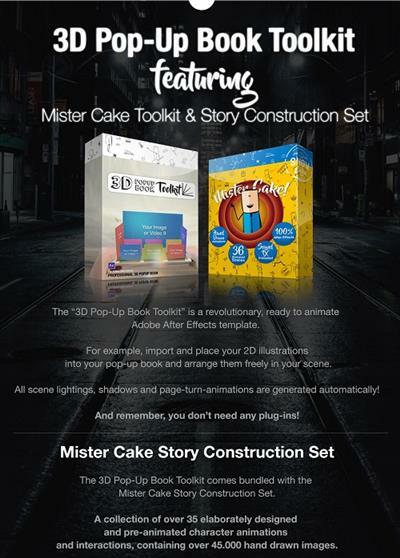 • Plus 10 Empty Pop-up Book scenes (for Version 1 and Version 2) that you can fill with your own content.